DEYA BREWING TAP TAKE OVER! Cheltenham based Deya Brewing are simply put, one of the biggest noises in UK craft brewing right now, winning numerous awards and critical acclaim for their soft, intense and hoppy beers and constantly occupying a top 5 position in the Untapped beer rating app brewery charts. 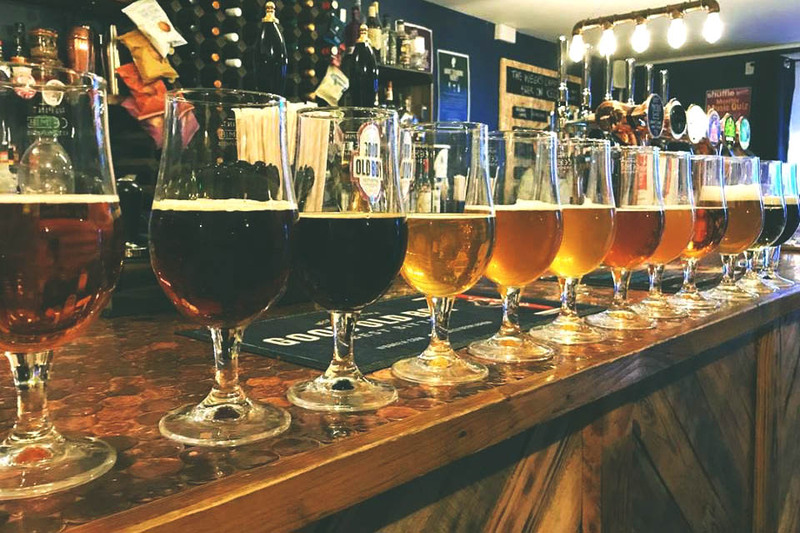 Their focus on fresh, clean and intense flavours has won them a legion of beer drinking fans and has certainly gone down outrageously well when it has been on the bar at The Tuppenny. On September 6th, Deya will be bringing 6 keg, 1 cask and some special cans of their beer for you thirsty hordes, and will be on hand to talk through them, outline how they make them and the stories behind them. Expect some of their regular favourites plus some rarities and special brews. But, this won’t just be your normal Meet the Brewer, because alongside we will be running a home brewing competition. We always supply the beer, now its your turn. Your challenge, should you choose to accept it, is brew us a beer, and have the kahunas toput it into the completion. To level the playing field slightly, we’re asking you to brew a pale ale. That’s it. It’s a pretty broad remit, but interpret the brief however you see fit. So be creative, go for flavours that you think will wow the judging panel. This judging panel will comprise of Will Twomey, head brewer at West Berkshire Brewery / Renegade who brews the Tuppenny’s core range of beers, Ruth Mitchell, one of the most respected beer sommeliers in the country, and of course Theo Freyne, head brewer at Deya Brewing. The Winner will get a day with Will, brewing your winning beer, on WBB’s 100litre pilot kit, and have the prestige of seeing your beer on draught in your favourite local craft joint, Tupp HQ. Also a brewery tour for you and three mates with Theo at Deya, and a craft beer goodie bag. 2nd prize is a brewery tour for four at Deya and a craft beer goodie bag and 3rd prize is a craft beer goodie bag. Prizes will also be on offer for “best name” and “best artwork/label design”. Your beer must be a pale ale and needs to be brewed from grain, so no cheapo malt extract brewing kits. It has to be an original recipe (no clone brews from a download), Any natural adjuncts can be used to add additional flavour to your beer.